A superbly appointed apartment. The hosts have gone above and beyond what is usually expected. Great communication with regards to keys and anything else we might have had questions about. The apartment is beautifully styled and the bed is so comfortable I didn’t want to get up! The milk, tea, coffee etc. was most appreciated upon arrival. We will only ever stay here when in town from now on. The apartment was beautiful. Bed was super comfy. Shower was lovely.. Kitchen well stocked with everything you could need... Great place to stay and very central to town. Great location and really nicely furnished and equipped. Perfect spot for a couple of days pottering around the town. I loved the space. Clean and spacious and very well thought out. The owners were very helpful when I had no ride to the bus station. I reached my bus schedule on time because of their help. This property is a gem! Its a high end, boutique style apartment with loads of space. It’s walking distance from everything, so really convenient. Superb apartment, couldn’t ask for anything more. Better than any hotel, for someone who travels the world and lives in hotels, it felt like a home from home! A very impressive apartment. Modern, quiet, well located, great facilities and friendly owners. Looking forward to my next visit. Thank you. 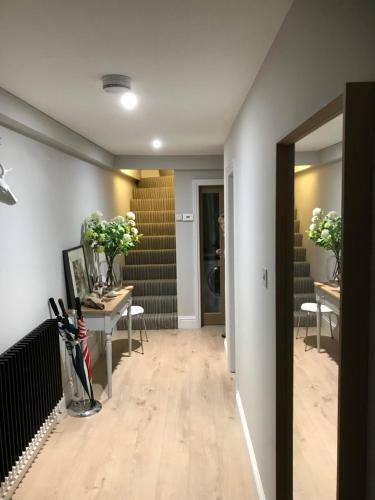 Lovely apartment within 5 mins walk of town centre. Very clean, furnished & equipped to a high standard - the bed was really comfortable. Hot drink supplies including coffee machine, ESpa products in the bathroom, magazines & books, had everything we needed. Easy check in & able to contact hosts easily if needed - didn't need to as everything was perfect. Would definitely book again if visiting Leamington Spa. The hosts were most gracious. They even allowed for a 3rd guest above 16 yrs to stay for a night using sofa bed without additional charges. Everything was perfectly arranged; kitchen utensils, coffee/ tea, and condiments needed for cooking, etc. were in ample supply and of highest quality. The location was A+. Highly commendable and a definite repeat. Lock in a great price for The Apartment, 1 Clarendon Place - rated 9.9 by recent guests. One of our bestsellers in Leamington Spa! 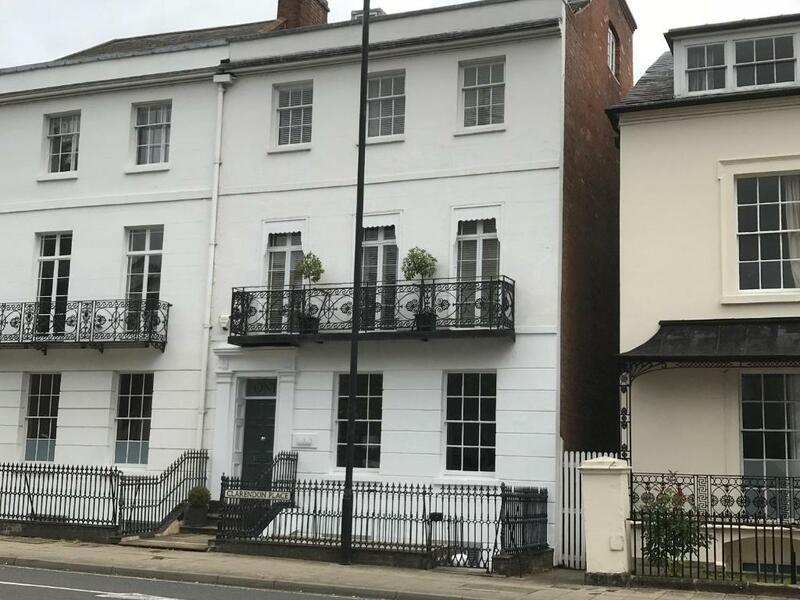 The Apartment is a lower ground floor self contained apartment within a fine Regency residence in Royal Leamington Spa town centre. Within a 5 minute walk of excellent shopping, many bars and restaurants, parks, cinema, theatres and many more facilities. A 15 minute walk of the local railway station and within a short drive of the motorway network. Nearby sites include the magical Warwick Castle (1.9 miles), Stratford Upon Avon and its Royal Shakespeare Theatre (7.5 miles), the National Exhibition Centre and Birmingham International Airport (within 21.1 miles). Bicwster village (39.1 miles) and Central London (87 miles). 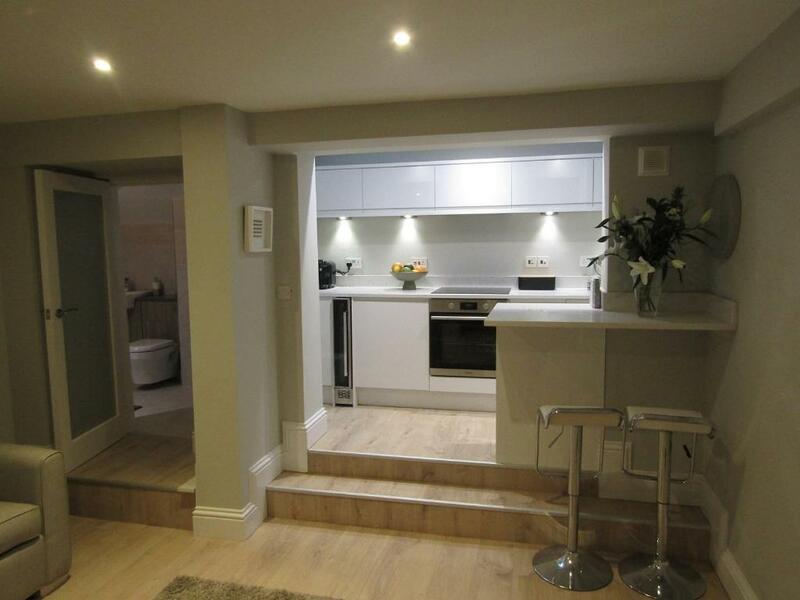 This property also has one of the best-rated locations in Leamington Spa! Guests are happier about it compared to other properties in the area. This property is also rated for the best value in Leamington Spa! Guests are getting more for their money when compared to other properties in this city. 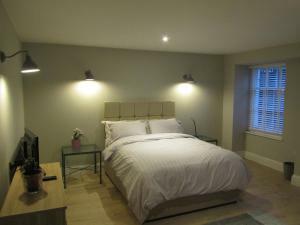 The Apartment, 1 Clarendon Place has been welcoming Booking.com guests since 25 Sept 2018. When would you like to stay at The Apartment, 1 Clarendon Place? The Apartment is newly refurbished luxary one bedroom apartment, comprising a large double bedroom, Living room with flat screen television and sofa bed off which is a fully fitted kitchen with granite worktops. There is a well appointed bathroom with walk in shower, bath, basin and WC. 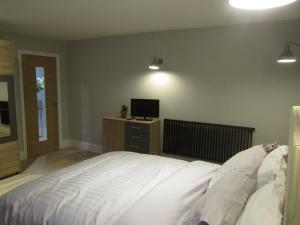 The apartment also has a utility room with washing machine and dryer and has full gas fired heating throughout. 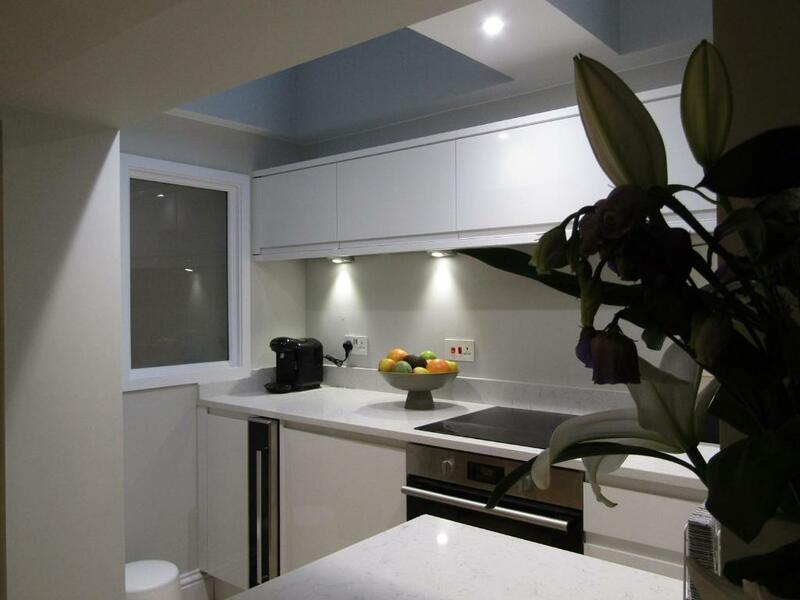 We have just recently refurbished this lovely apartment within an impressive Regency building. 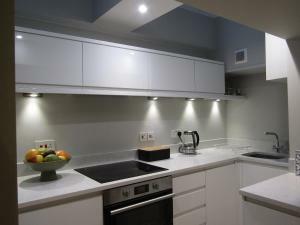 Its decor is modern and cool, it is well fitted, spacious and welcoming. 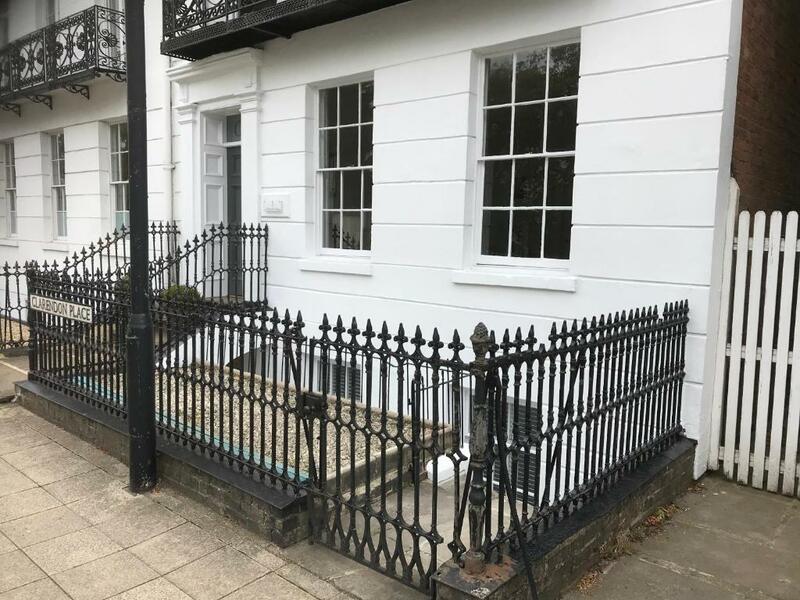 A great position in the town centre, walking distance to many restaurants, theatre, cinema, bars and parks. Easy public transport and situated in the middle of the UK. Hi, we are local people, living and working locally. We love living in the town centre, great restaurants , bars and other amenities. All within walking distance. Very proud of our hom and the Apartment, a labour of love over 4 years. One of Leamington Spa’s finest architectural locations in the centre of the town. We are very close to Restaurants and bars, cinema, theatre, cinema, art galleries, library, leisure centre, banks many business if you are here for work. The likes JLR, Aston Martin and many tech companies are near by. House rules The Apartment, 1 Clarendon Place takes special requests - add in the next step! Please inform The Apartment, 1 Clarendon Place in advance of your expected arrival time. You can use the Special Requests box when booking, or contact the property directly with the contact details provided in your confirmation. Noise & lights from the main road & noise from flat above (can hear footsteps although quiet from 10.30pm onwards & we slept really well) Nothing that a pair of ear plugs & a sleep mask wouldn't solve if you're a light sleeper. No dislikes. It was just a sous-terrain apartment which meant that heating had to be on practically all the time for it to feel comfortably warm. The place was neat, spacious and cosy, felt like home. The host was amazing too. Fast internet, free view tv and Apple TV with signed in Netflix. House slippers and comforters enough for a family of four.